Nope! Early Memebox fan grabs the cheaper box! Until this Sunday, get $3 off! Walk the streets of Korea, and you’ll see that it’s all about flawless, glowing skin. And while impeccable Korean skin has been receiving lots of attention world-wide, it’s the notion that multi-step cleansing, toning, and prepping the skin prior to makeup application to achieve flawless skin that captured the hearts of many beauty junkies. 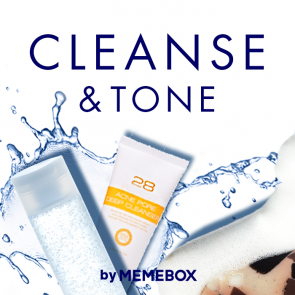 With this box, you’ll see that the mythical Korean cleansing routine is not actually a fable, and that the mysterious application techniques aren’t so mysterious after all. All products are gentle to use, even for the most sensitive skin types, to dissolve away even the most stubborn makeup, and extract all despicable pore-cloggers! The results? You'll have sparkly, gorgeous skin that glows from within! 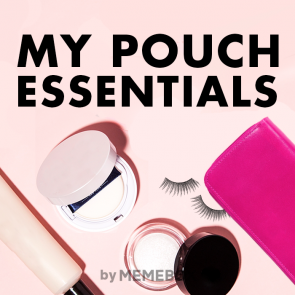 What’s in your makeup pouch, or shall we say makeup pouches? A well-stocked makeup bag can take you from the office scene to the party scene, and from daily life to a weekend getaway with just one go! Bursting with daily beautiful essentials, tested and approved by us, this box has the just the right products to give you perfect touch-ups throughout the day, or help you dramatize your look! No more lugging around heavy makeup bags full of unreasonably bulky products, just carry this box with everywhere you on-the-go for your prettiest look everyday because we got these this box-ful of handy goodies down to a tee! If taking care of your lips isn’t part of your beauty to-do list this winter, re-think your beauty priorities. Most people don’t know, but collagen loss and wrinkles around the lips adds ages to your face, and with winter winds and drier climate, lips are more prone to aging and thinning. Scared yet? Don’t fret because we’re here to help you fight against lip-aging with this Oh! My Lips Box. Bursting with a lip masks, lip patches, lip balm, and lip-thingamabobs, plus some holy-grail lips colors, this box is the answer to all your winter lip problems. All goodies are made with a bold blend of potent age-delaying, moisture-enhancing, volumizing, and smoothing ingredients to give you the look of beautiful, plump, and youthful lips!